IDEC SPORT SAILING | CLIMBING BACK DUE NORTH: "30 December 2015 - As the wind has veered and the trade winds have filled the sails, the IDEC SPORT maxi trimaran has been lifted and her speed towards the Equator has increased. Joyon and his troops are making the most of what the wind is throwing at them..."
Dec 27 UPDATE--Comanche Leads for Line Honours with Less Than 100 Miles To Go -The crippled American supermaxi Comanche has extended her lead over the similarly damaged Rambler. In all likelihood, sometime this evening skipper Ken Read, his crew and owners Jim Clark and Kristy Hinze-Clark will be the toast of Hobart, celebrating a line honours triumph that 24 hours ago seemed impossible. UPDATE December 26: The Rolex Sydney Hobart Yacht Race has taken a dramatic turn with major super maxi contenders for line honours either retired or trying to effect repairs as they have confronted an extreme southerly change off the NSW south coast, along with others in the fleet. Eight-times line honours winner Wild Oats XI is out with a torn mainsail and is returning to Sydney; US frontrunner Comanche, which had been leading the race, suffered a broken rudder, initially retired but is now trying to effect repairs at sea and continue in the race; Anthony Bell’s Perpetual Loyal has retired, also with a broken rudder and is returning to Sydney. The other US entry, George David’s 88 foot Rambler now leads the race, ahead of Comanche and Syd Fischer’s Ragamuffin 100. A dark horse in the race is Maserati, Giovanni Soldini’s V70 that is well out to sea and clearly gambling on skirting the treacherous southerly that is taking this toll on the fleet. Rolex Sydney Hobart Yacht Race 2015: "Australian entries include Peter Harburg’s Black Jack and Mike Mollison’s Scamp from Queensland; Avalanche (Hugh Ellis), Hartbreaker (Antony Walton/Alan Breidhal) from Victoria and Terry Posma’s Jaffa returns from Western Australia after his first Rolex Sydney Hobart last year. Among the NSW entries are Brindabella (Jim Cooney), Celestial (Sam Haynes), Great Xpectations (Rod Wills), Komodo (Andrew Butler) and Quikpoint Azzurro, the 34 year-old S&S 34 owned by Shane Kearns, which won the Land Rover Sydney Gold Coast Yacht Race in July. The start of the Rolex Sydney Hobart Yacht Race will be broadcast live on the Seven Network throughout Australia, webcast live to a global audience on Yahoo!7 and live streamed via mobile." Spindrift 2 DAY 30 | Jules Verne: "... The approach to Cape Horn is looking complex. Spindrift 2 and its crew are going to have to cross a front, then overtake it. There are numerous manoeuvres coming and quite slow progress, before enjoying one last surf towards the famous rock, which marks the end of the Southern Ocean, the Pacific Ocean and the return into the Atlantic..."
IDEC SPORT SAILING | ROUNDING THE HORN TOMORROW: "After an extraordinary weekend, which saw them regain 850 miles and move ahead of the record time, Cape Horn is coming up for the six sailors on IDEC SPORT skippered by Francis Joyon. Even if they are slowed down in the centre of a small area of low pressure, they should round the infamous cape tomorrow evening (Tuesday) within the record time. In other words just over 30 days, meaning they are still in with every chance during the climb back up the Atlantic..."
Clipper Race crew star in Sydney Hobart media day: "With just six days to go to the long awaited Rolex Sydney Hobart Yacht Race (RSHYR), international media are arriving in Sydney ready to report on the 71st edition of the prestigious event which is watched by millions of people across Australia and around the world. Clipper 2015-16 Race crew took centre stage today at the RSHYR’s international Press Conference in the Race Village. Sir Robin, who will compete alongside his teams on board Clipper 68 entry Clipper Ventures 10, joined Mission Performance’s Gavin Reid, GREAT Britain’s Abi Oyepitan, Visit Seattle’s Ana Downer-Duprey and sisters Leo and Caroline Bowen who are on Garmin and Qingdao, on stage to answer questions from the media about their participation...."
The 2016-17 World Sailing Offshore Special Regulations (OSR) have been published on the World Sailing website. The purpose of the Offshore Special Regulations (OSR) is to establish uniform minimum equipment, accommodation and training standards for monohull and multihull boats racing offshore. Click here to find the 2016-17 OSR. In the new 2016-2017 edition of the OSR, the regulations have been simplified and shortened to improve their clarity for all sailors, inspectors and race organizers. 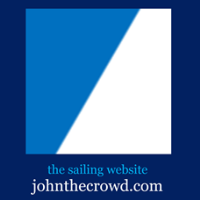 The categories of events remain unchanged and the intent of each clause is not changed except for the changes agreed at the 2015 World Sailing Annual Conference. The OSR are accompanied by a safety training manual where the relevant guidelines and recommendations from the OSR will be located in the next edition of the, "World Sailing Guide to Personal Offshore Safety". A number of changes made at the World Sailing Annual Conference affect the new 2016-17 edition of the regulations. Unless otherwise specified the amendments are effective on 1 January 2016. It should be noted that national prescriptions may take priority over the World Sailing text and you should check with your relevant authority. The Appendices have been re-ordered and some re-named. Monohull Stability requirements have been aligned with changes to the ISO 12217-2 Stability standard. OSR 4.23 Pyrotechnic signals (Distress flares) has been amended to remove the requirement for the carriage of parachute distress flares. For category 3 races sail Double-handed, at least one of the crew shall have undertaken training. The ocean, too Pacific, the crew pushes on. Wisdom. Technical. Strength, courage and unwavering support ... Cape Horn approaches. IDEC SPORT SAILING | SLOW AHEAD: "18 December 2015 IDEC SPORT is facing a long, slow, tricky passage in an area of high pressure on this 27th day of the attempt to smash the Jules Verne Trophy record...."
IDEC SPORT SAILING | TAKING EACH OBSTACLE AS IT COMES: "IDEC SPORT’s slow down during the night, (earlier today back in Europe) had been expected since they passed south of Tasmania. Francis Joyon and his boys reacted calmly without any changes to their watch pattern, as they wait for a temporary strengthening of the SE’ly wind, a precursor to another tricky patch to come this evening in the centre of the area of high pressure. Once past this final hurdle, IDEC SPORT should pick up speed once again. Joyon, Surtel, Pella, Stamm, Herrmann and young Gahinet can’t wait to get back to the level of performance, which saw them cross the Indian Oceanin record time. The clock ticking is still the obsession on board. It is still possible for the big, red trimaran to equal or be close to the time it took Loïck Peyron and Banque Populaire V to get to the Horn..."
‘SPAR WARS’: "This week the first instalment of the Clipper 2015-16 Race TV series, ‘Race of Their Lives 2’ gets its UK and European premiere broadcast on BLOOMBERG TV at 1100 GMT (1200 CET) this Saturday 19 December, repeated at the same time on Sunday 20 December. BLOOMBERG TV can be seen in the UK on Sky channel 502; Virgin Media channel 609 and Freesat channel 208..."
Nine-years of the Extreme 40s. The end of an era. In 2007, the Extreme Sailing Series™ stormed onto the professional racing scene and changed the world of sailing forever, with it’s pioneering Stadium Racing format. From Asia, the Middle East, South America, the USA, Russia, Europe and Australia, over the last nine years the Series has visited 25 international destinations including Rio de Janeiro, Venice, Amsterdam, Singapore, Hamburg, Sydney, Marseille and Boston. Attracting the world’s best sailors to race in high-performance Extreme 40 catamarans, in 2016, the Extreme Sailing Series™ will celebrate its tenth anniversary, reinvigorating itself with the introduction of the ‘flying’ catamaran: the GC32. (Published on Dec 13, 2015 by extremesailingseries.com.) 2016 Schedule TBD. Busy maintenance schedule in Sydney as fleet lifted out of water: "The Clipper Race fleet is undergoing a busy schedule of maintenance in Sydney, including each boat being lifted out of the water to have antifouling carried out. The 12 boats are transferring round to Sydney City Marine from the CYCA and being lifted, then sanded down and various jobs carried out, including having their bottoms cleaned and new antifouling applied. The yachts are having their half way round the world clean ahead of the whole fleet’s participation in the Rolex Sydney Hobart Yacht Race." IDEC SPORT SAILING | TACKING AROUND THE EDGE OF A PATCH OF LIGHT CONDITIONS IN THE PACIFIC: "“We are choosing the least bad option. We are dragging our feet a bit tacking downwind. We are still to the north of what remains of the area of low pressure, hoping that something will develop along the way.” Francis Joyon and his merry band are relying on their professionalism and their knowledge of the sea to make the most of the light conditions, which stretch out along their route to Cape Horn at the southern tip of Latin America." IDEC SPORT SAILING | JOYON HOPING TO GET TO THE HORN IN SEVEN DAYS: "16 December 2015 - IDEC SPORT is once again on the attack ... The big question today is knowing at what point to begin a series of gybes in order to get across a transition zone between an area of high pressure and a low. This decision will affect a lot of things, but Francis Joyon hopes to be back up with the pace of Banque Populaire V by Cape Horn. This would mean rounding the infamous cape by Tuesday. On the other side of the world aboard IDEC SPORT on Wednesday 16th December on this 25th day at sea, the crew is continuing to make headway towards the NE. “We’re going to continue for a little while like that,” explained Francis Joyon. “We’re currently getting around the north of an area of low pressure that is stretching out a bit with some light stuff. We’re still in the WNW’ly air stream for the moment, but soon we will have to weave in and out. We’re going to have to carry out a series of gybes to get around the low and then wait for the moment, when we can dive south to an area of high pressure.”..."
The Race 4: Elliot Brown Timekeeper Cup prizes awarded: "The Race 4: Elliot Brown Timekeeper Cup prizes have been awarded at an event at the prestigious Royal Sydney Yacht Squadron. Winners LMAX Exchange received a flag from the race’s Official Timekeeper Elliot Brown and Elliot Brown gift cards which were presented by the British watch brand’s Clipper Race ambassador, Da Nang Viet Nam crew member Matt Ogg. LMAX Exchange Skipper Olivier Cardin, whose team have now won three of the four races, said it had been the best race of his life. GREAT Britain received its second place prize pennant, and Garmin for its third place finish." Carlyle Group's Lauderdale Marine Center renovations to begin in February - South Florida Business Journal: "Lauderdale Marine Center, the nation's largest yacht repair facility, will begin renovations in February, according to an announcement from the company Monday. The renovations were first announced in July, when Washington, D.C.-based global private equity giant The Carlyle Group acquired the Fort Lauderdale property for approximately $140 million...."
IDEC SPORT SAILING | CRUCIAL DAYS IN THE PACIFIC: 15 December 2015 "On her fourth week of racing against the clock where there is a need for precision to deal with the complicated weather patterns in the South Pacific, IDEC SPORT is entering a crucial phase, which could determine the outcome of this attempt to smash the Jules Verne Trophy record..."
Extreme Sailing Series, Act 8, Sydney, presented by Land Rover: Highlights - The last Act of the 2015 Extreme Sailing Series lived up to expectations with thousands of spectators lining the shore to watch the nine-strong fleet battle it out. After 28 close-fought races that saw multiple crashes and a spectacular capsize on day two, British skipper Leigh McMillan made history, becoming the only skipper to win three Series titles on the global tour in the nine-year history of the circuit. Published on Dec 13, 2015. Extreme Sailing Series: "DRAMATIC FINALE AS THE WAVE, MUSCAT SEIZES OVERALL CHAMPIONSHIP TITLE - Leigh McMillan, British skipper of The Wave, Muscat presented with Land Rover Above and Beyond Award for his outstanding performance: the only skipper to win three Extreme Sailing Series™ championship titles in the nine year history of the Series..."
The Annapolis Yacht Club released a statement saying the fire damaged the main clubhouse. The club will remain closed until further notice. ISAF Sailing World Cup | Melbourne (7-13 December 2015) - Australian and French Para World Sailing gold rush continues : News & Features | ISAF | World Sailing | Official Site: "Dan Fitzgibbon and Liesl Tesch ©Jeff Crow Sailing World Cup Melbourne St. Kilda, Melbourne, Australia An intense fortnight of competition for an international fleet of Paralympic sailors drew to a close today, Saturday December 12, 2015, with the completion of their Sailing World Cup Melbourne race schedule in light southerly winds at the top end of Port Phillip..."
IDEC SPORT SAILING | A NEW RECORD FOR IDEC SPORT ON THE WAY INTO THE PACIFIC: "A NEW RECORD FOR IDEC SPORT ON THE WAY INTO THE PACIFIC 12 December 2015 Francis Joyon’s entered the Pacific this morning (Saturday) and in so doing set a new record for crossing the Indian Ocean, which is currently being ratified by the WSSRC: 6 days 23 hours and 4 minutes. Until now, no boat had managed to cover this stretch in less than 8 days. This new record logically follows the one they set between Cape Agulhas and Cape Leeuwin on Thursday evening....IDEC SPORT has smashed by more than one day (1 day, 5 hours and 31 minutes) the record set by Spindrift, less than two hours earlier. Yann Guichard’s crew crossed this same longitude at 0839hrs UTC on Saturday morning after spending 8 days and 4 hours and 35 minutes on this stretch..."
United States Sailing Association | US Sailing’s Rolex Yachtsman and Yachtswoman of the Year Awards: The most significant sailing performances of the year are being heralded by US Sailing with the announcement of the 12 men and six women who have been shortlisted for the 2015 Rolex Yachtsman and Yachtswoman of the Year awards. Nominees shortlisted for US Sailing’s 2015 Rolex Yachtsman of the Year award: Lightning World Champion Geoff Becker (Annapolis, Md. ); distance racing record-breaker Ryan Breymaier (Annapolis, Md. ); Etchells North American Champion Steve Benjamin (Norwalk, Conn.); J/70 World Champion Bill Hardesty (San Diego, Calif.); Etchells World Champion Skip Dieball (Toledo, Ohio); Rolex Farr 40 World Champion John Demourkas (Santa Barbara, Calif.); Rolex Maxi 72 World Champion Hap Fauth (Minneapolis, Minn.); 470 European Champion Dave Hughes (Miami, Fla.); Melges 20 World Champion John Kilroy (San Francisco, Calif.); 470 European Champion Stu McNay (Providence, R.I.); distance racing record breaker Lloyd Thornburg (Santa Fe, N.M.); and J/24 North American Champion Will Welles (Portsmouth, R.I.). Nominees shortlisted for US Sailing’s 2015 Rolex Yachtswoman of the Year award: U.S. Women’s Match Racing Champion Nicole Breault (San Francisco, Calif.); Aquece Rio International Sailing Regatta (Olympic Test Event) 470 Women’s Champion Anne Haeger (Lake Forest, Ill.); Pan Am Games Laser Radial Gold Medalist Paige Railey (Clearwater, Fla.); Aquece Rio International Sailing Regatta (Olympic Test Event) 470 Women’s Champion Briana Provancha (San Diego, Calif.); Buddy Melges Challenge winner Stephanie Roble (East Troy, Wisc. ); and Lightning North American Champion Jody Starck (Buffalo, N.Y.). Full-contact Extreme 40 sailing on Sydney Harbour | News: "With everything to play for, the Extreme 40s came out all-guns-blazing on Sydney Harbour today, for the much-anticipated final Act of the 2015 Extreme Sailing Series™ championship. On a day of costly penalties for some crews, and race-ending collisions that reduced the fleet of nine boats to just six, it was SAP Extreme Sailing Team and Oman Air that shone through finishing the day first and second respectively. In the morning press conference Oman Air’s skipper Stevie Morrison threw down the gauntlet, saying his aim for the week was to give The Wave, Muscat a “run for their money” and, with three race wins and two second place finishes, Morrison certainly held his word." IDEC SPORT SAILING |"IDEC SPORT HAS MADE UP HER LOSSES, LEEUWIN TONIGHT 10 December 2015 Francis Joyon’s crew is in the process of succeeding in their gamble and achieving the remarkable feat of wiping out a deficit of 800 miles in just four days. This afternoon (Thursday), they only have around fifty miles left to catch up. Tonight, they will be crossing the longitude of Cape Leeuwin..."
EPISODE 10 : IDEC SPORT The Land of ICEBERGS - Published on December 8, 2015: 15 days after his departure, the big trimaran advanced to the land of ice. ... Nicolas Hulot says: "It's behind the adventure word, it is a universal dimension, exceptional:. That of a rare commodity in this dream is what is more beautiful: it is dream carrier for those who exercise, it is perfect for carrying the beholder. for the spectator, one who simply imagine these men on a ship that goes faster than the wind, like that, on the ridge waves in countries and no one can help them except themselves." Jean-Paul Riviere's French Finot Conq 100, Nomad IV crossed the finish line of the RORC Transatlantic Race at 19 hours 06 mins and 59 secs UTC on Tuesday 8th December 2015, taking Monohull Line Honours to win the exquisite silver International Maxi Association Trophy. Nomad IV has also set a new monohull record for the RORC Transatlantic Race of 10 days 07 hours 06 minutes and 59 seconds. Jean-Paul Riviere and the Nomad IV crew were greeted at Camper & Nicholsons Port Louis Marina by Glynn Thomas, General Manager of Port Louis Marina; James Bremridge, Deputy Racing Manager of the Royal Ocean Racing Club and Chrislyn Lashington, Grenada Tourism Authority, who presented Nomad IV with a basket of Grenadian specialities, including Westerhall Rums, Grenadian Chocolate and Spice. "Fantastic!" exclaimed the French skipper. "We were so disappointed last year when our broken boom made us retire, but this year has been really special. We have had very few problems, so it's a different story. Nomad IV crew is a combination of five regular crew, five French TP52 sailors and five Russian guests and we have had such an incredible time together. To win Line Honours was our goal and we have achieved that. The possibility of winning the race overall will be amazing, but we will have to wait until the other boats finish before we can have a double celebration." After clearing customs in Port Louis Marina, the crew enjoyed dinner at The Victory Restaurant within a stone's throw of the Superyacht Dock. Gerald Bibot's catamaran ZED6, racing Two Handed with Michel Kleinjan is expected to be the next yacht to finish the RORC Transatlantic Race tomorrow evening. More info: http://rorctransatlantic.rorc.org/ - Follow progress of the race via Race Tracker. RORC Transatlantic Race - Nomad IV took Monohull Line Honours in the RORC Transatlantic Race Tuesday with ZED 6 in full flight coming in from the north, while Nunatak celebrate mid-Atlantic with shooting stars and Jelly Babies. For the next few days, steady tradewinds of 15-20 knots are predicted for the yachts at the front of the RORC Transatlantic fleet, giving a fast broad reach to Grenada. The governing body of sailing worldwide, formerly known as ISAF, has officially announced its rebrand to 'World Sailing - A Sport for Life' - ISAF Becomes World Sailing As Part Of Rebrand : News & Features | ISAF | World Sailing | Official Site: "Sailing is one of the most inclusive sports in the world, regardless of gender, age or ability of a sailor, there is a boat for anyone and everyone to train and race in. It's not unusual to see men and women racing alongside and against each other, grandparents sharing a boat with their grandchildren, or able-bodied and disabled sailors going head-to-head - all can compete on equal terms and this is what makes the sport unique." The young cousins Lisa Darmanin and Jason Waterhouse have been sailing together for more than eight years, and Rio will be their Olympic debut. How Has Technology Changed the Sport of Sailing? Dec. 8 -- Oracle Team USA Skipper Jimmy Spithill discusses preparations for the next America's Cup challenge. He speaks on "Bloomberg Markets." 1st 1st in IRC ZMore info: http://rorctransatlantic.rorc.org/ and follow progress of the race via the Race Tracker. Over 900 competitors are starting to hit the St Kilda foreshore in preparation for one of Victoria's top sporting events, the ISAF Sailing World Cup. Getting around that damn Bulge of Brazil was an ordeal, involving many days of upwind sailing, so I am very glad to have that in the rear view mirror.